The most successful tech giants and successful corporates have understood from the get-go that hiring students is a critical element of growth and innovation. And the startup and innovative companies at Student Connect Brisbane @ The Capital was no different! Ribit, and amazing partner Brisbane Marketing, joined forces in October 2018, in a speed networking event connecting our nation’s digital youth for jobs and internships with innovative companies from Brisbane’s startups community, and high-growth, disruptive and innovative corporates. Over 100 students, 20 employers and a raft of over 30 job opportunities in software development, digital marketing, data analysis, admin support, project ops, marketing, sales, research and business were up for grabs. After a warm welcome from Councillor Adam Allen, Economic and Finance Development Committee, Brisbane City Council, we kicked off with a great introduction to a success story from a previous event. International student Arslan Nazimi first found intern success with Talentvine and has since gone onto leadership roles at Radspec. His full case study is here. The competition was fierce but also fun as employers pitched their company then speed dated students to find the next hacker, hipster or hustler for their business! 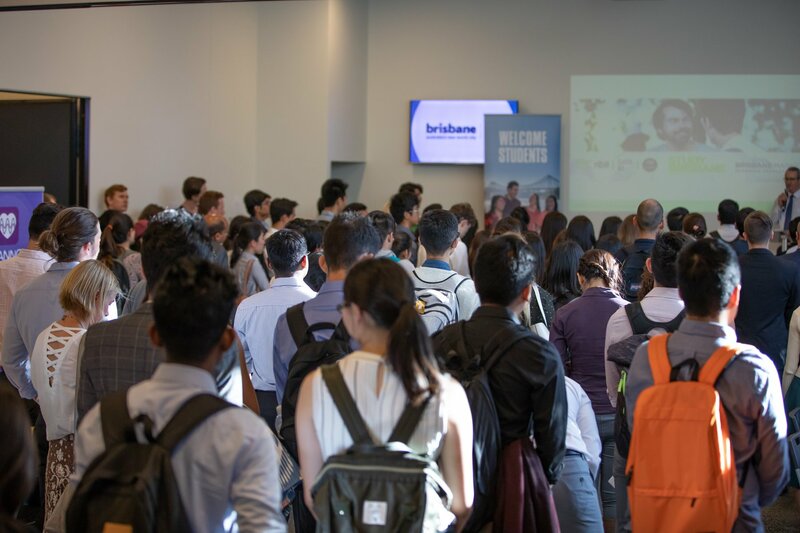 Students are also supported by mentors and a valuable pitch session hosted by Isaac Holmyard, General Manager, Fishburners, Brisbane (also the event venue host too!) provided additional opportunities for the honing of skills and calming of nerves! Not only did students report that the opportunity to land a job in a fun, supportive, student friendly environment was a win but so was the opportunity to learn how to ‘pitch’ to the employer and get mentorship to guide them through the hurly burly of the speed dating!